The installation Symphonie 31 is positioned in the ‚in-between‘ of charming handmade electronics and the simulation of cyberspace. The visitor`s imagination and their power of association are the basic elements of the simulation. Underneath white crossmarks simple handmade ca- pacitors have been placed as step sensors. 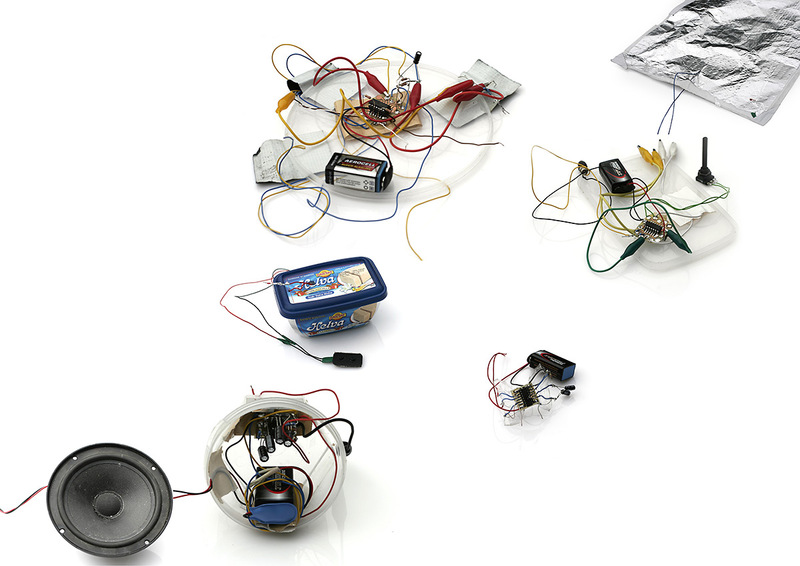 The visitor produces and modulates sounds in dialogue with simple oscillating circuits. Symphonie 31 is played by mo- ving, stepping and dancing through the 10 meter long corridor. The last step-on contact starts a pacman-like animated sequence and takes leave with a „You got it“ and a computer game winning melody.